About Oxford - Oxford Biomedical Technologies, Inc.
Oxford Biomedical Technologies, Inc. is a Federally and State of Florida licensed medical reference laboratory. Since the introduction of the patented Mediator Release Test (MRT®) and proprietary LEAP anti-inflammatory eating plans, Oxford has performed over 4.5 million food sensitivity tests, helping improve the lives of tens of thousands of IBS, migraine, fibromyalgia, and other patients suffering the negative effects of food sensitivities. But Oxford is so much more than just a food sensitivity laboratory. Oxford is a true leader and pioneer in the field of food sensitivity technology development, food sensitivity testing, therapeutic protocols, and practitioner training. Oxford’s research team has unparalleled expertise and an unmatched history of innovation, authoring 9 United States patents and 17 International patents related to food sensitivity testing technology. No other company comes close. In collaboration with Sony Biotechnologies, Oxford’s latest innovation is the MRTIII® instrument. MRTIII® is the world’s most advanced and reliable instrument for measuring the subtle volumetric changes that occur in hidden inflammatory reactions to foods and food-chemicals. MRTIII provides unmatched reliability and precision because it is the only instrument in the industry that combines advanced flow cytometry technology with the patented impedance-based “Ribbon Method.” MRTIII®, along with Oxford’s patented method, is the only instrument capable of measuring the effects of antigen challenge on individual white cell populations simultaneously (lymphocytes, eosinophils, monocytes, neutrophils). And because MRTIII® is able to identify more relevant inflammatory reactions than any other test or method, therapeutic outcomes are maximized with its use. Additional applications for MRTIII® in the fields of pharmaceutical research, cytokine quantification, and quality control applications in particle counting and sizing where extreme precision is required, are projected for the near future. To learn more about MRTIII® click here. Because of the development of MRTIII®, Oxford is able to provide healthcare practitioners the patented Mediator Release Test (MRT®). Mediator release is the key pathological event associated with food-induced inflammation. MRT® provides clinically significant information no other blood test or method can provide. MRT® is a functional assay that quantifies and measures the subtle volumetric changes that occur in white blood cells after positive antigen challenges, and that correlate with release of cytokines, leukotrienes, prostaglandins and other pro-inflammatory mediators. To learn more about MRT® click here. Although the information MRT® provides is critical in identifying hidden inflammatory foods and chemicals, it is the practical implementation of the test results that produces the desired health benefits, not the test itself. For this reason, Oxford created the LEAP Program (Lifestyle Eating And Performance), a unique, innovative and extremely effective patient-specific anti-inflammatory eating plan. LEAP is much more than just a computer generated rotation diet based on the results of a blood test. LEAP was developed and refined in a clinical setting over several years on thousands of food sensitive patients (Oxford Nutritional Centers). This clinical development created an approach that routinely and predictably achieved the most complete outcomes in the shortest time, and was significantly easier to follow than rotation diets or other available diet-based approaches. Fast, reliable, and complete relief are the common goals of every patient and practitioner dealing with the unwanted effects of food sensitivities. This is what LEAP provides. To learn more about LEAP click here. The primary reason that food sensitivities are one of the most neglected areas of treatment in conventional medicine is because they are one of the most under-addressed areas of practitioner training. 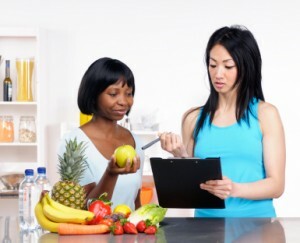 Because of this, and with the recognition that a properly trained dietetic professional is the ideal practitioner to manage the needs of food sensitive patients, in 2006, Oxford created the Certified LEAP Therapist training course (CLT). The CLT course provides an excellent understanding of the different types of adverse food reactions, with an emphasis on the important role food sensitivities play in IBS, migraine, and fibromyalgia.